By Ben Hewitt, Director of Campaigns and Communications, Theirworld. What would you do first in the days after a huge earthquake has decimated your community? Or in the weeks after violence has forced you to run from your home? Or when pupils in your child's school have been killed, simply for being in a classroom? For teachers, pupils and their families, the surprising answer is often the same: start planning how to get back into school. The endless stream of disaster headlines over the past year convey what seems to be a lifetime of crisis, be it the earthquakes in Nepal, conflict in Syria and northern Iraq and the associated exodus of refugees, or the massacre of innocent school children in Pakistan. Not to mention the violence in South Sudan and countless other conflicts, too 'small' to secure the attention of the international media. Where disaster has happened, however, the better side of human nature has been fast to follow. There is another raft of resilient heroes who are too often overlooked in the face of catastrophe. In every one of these crises and many others, teachers, pupils and their families continue to battle to get an education, despite confronting ever more improbable odds. From the teachers running classes outdoors in Nepal after their school was destroyed in the earthquake, to the Lebanese government setting up a new double-shift school system for 200,000 refugee children fleeing conflict in Syria, or the teacher forced to flee Afghanistan who immediately started a school for 12 girls in a temporary tent, there are moments where these very worst times seem to remind us of something of the best of human nature. The United Nations Secretary-General has travelled the world and reports that in "areas ravaged by war and disaster, the plea of survivors is the same -- education first." When children don't attend school -- whether through poverty, disaster or conflict -- tragedy compounds tragedy. Instead of one generation affected by disaster, losing out on education increases the risk that the impact could continue to be felt for decades, or longer. Education turns children into adults who will rebuild their own future, restore peace and establish the essentials of healthcare and infrastructure for the children they will bear. Without it, the prospects ahead look far bleaker. Despite this, in 2014 only 1.1% of overall global humanitarian funding was allocated to education -- representing less than $0.02 spent per child per day -- unacceptable by any standard. The only sectors to receive less assistance are mine action and safety and security of staff. The impact of the lack of investment and action is felt by those must vulnerable, the children themselves, for years after the actual emergency itself. 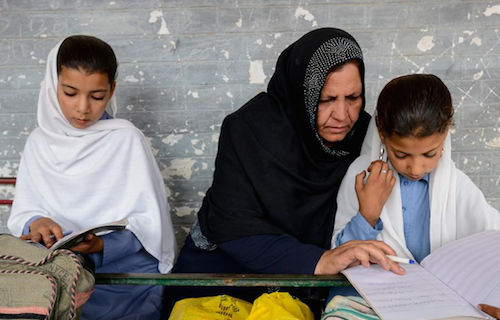 The teacher who fled Afghanistan and started a girls school under a tent is named Aqeela Asifi. 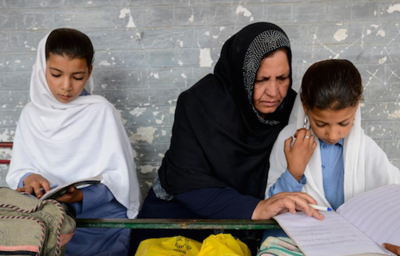 Aqeela went on to put more than 1000 girls through their education. Some of them have gone on to become teachers themselves. Aqeela said: "Whatever you spend on the first few priorities -- like food, shelter and security -- is not sustainable. Education is not a one-time investment. It is the only sector where you invest and it never finishes because it goes from one generation to another." But the message isn't yet getting through. It is over six months since a series of earthquakes hit Nepal and damaged or destroyed more than 90% of the schools in some districts across the country. Today less than half of the funding appeal for education has been met by international donors and so far only 50% of the targeted temporary classrooms have been set up - resulting in an additional 190,000 children still without access to a safe place to learn. The new school term started in Lebanon on September 28th and the Lebanese Government has offered to welcome 200,000 Syrian refugees into their schools -- but yet again we are passing around the hat to donor governments asking them to support this crucial investment. This summer Yemen was declared a Level 3 emergency response due to the escalation of violence -- this is the global humanitarian systems classification for the most severe, large-scale humanitarian crises -- but the education appeal for Yemen is already facing serious funding and capacity challenges. UNICEF Executive Director, Anthony Lake, highlighted the problem in a recent article, saying that the challenge is that the international community makes a distinction between humanitarian aid and longer-term development aid. Children living through crises, he says, "see no distinction between humanitarian and development action -- they only see whether they are getting what they need to survive, whether they are able to go to school, and whether they can dream about a better future." 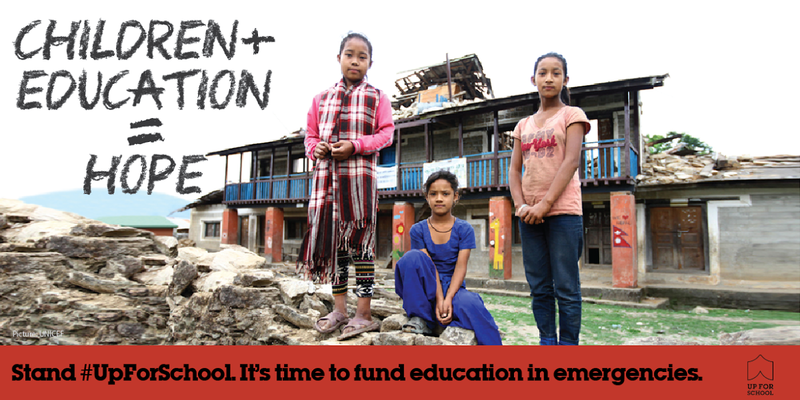 We need to make sure that education is a priority in every emergency and not an afterthought, and education campaigners and experts are calling on world leaders to move quickly to set up a much-needed new funding track for education in emergencies. Already over 10 million people have signed the #UpForSchool petition, from all over the world, demanding action to get every child into school, no matter what situation they find themselves in. It's not just numbers that give A World At School its power, however. Our strength comes from the diversity of our supporters. They include thousands of children, mobilised through schools and youth groups by our programme for engaging young people in campaigns. Our Global Youth Ambassadors and partners around the world have maintained a steady drumbeat of support for our cause - many of whom campaign while sustaining studies themselves. Many of these young people in Gaza, Central African Republic, Pakistan, the Philippines have contributed to a new film released today. Their demand is clear. School is a lifeline for them. Perhaps that's no surprise. Research shows that education makes early pregnancy and marriage less likely, and keeps children from being forced to work before they're old enough. It can help them keep them away from conflict and violence, giving them the chance to forge their own opinions in the relative safety of a classroom. Of course, it helps them find work when the time comes. At its best, education opens up the world to children: a world where they can learn about people thousands of miles away, or code their own inventions on a laptop in a temporary classroom, or finally crack the mystery of a quadratic equation. Chances are, they'll pass the joy of their learning on to the people they love, too. Every child should have the opportunity to be in school. To struggle with skills or ideas that seem elusive, only to wonder how they ever misunderstood a few hours later. To read something that makes them laugh, or cry, or rage. To see numbers and symbols as a pathway to innovating our way out of trouble, not a labyrinth with no route out. Increasing conflicts and natural disasters mean the number of children out of school is going up, at the same time the money to education is going down. We cannot continue to let heroes like Aqueela shoulder the burden themselves. It is time for this to change. Join the movement. 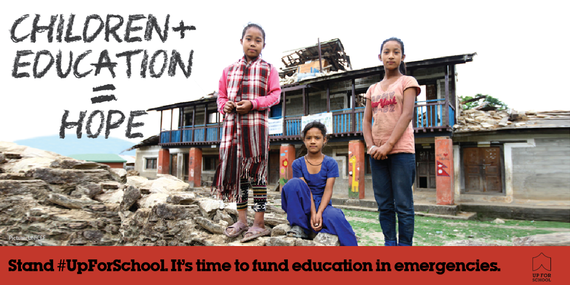 Sign the #UpForSchool petition. 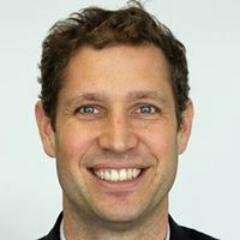 Ben Hewitt is Director of Campaigns and Communications for Theirworld and works on the A World at School and #UpForSchool campaigns mentioned in his blog.